All Look at Egypt tours, river cruises, expedition cruises, and adventure trips. Find the best guided trips and expert planned vacation and holiday packages. Average rating of 4.8 for all Look at Egypt trips. This Cairo trip is private tour and you will be companied by private tour guide. Enjoy the oldest Pyramid in ancient Egypt the Step Pyramid of king Zoser 500 years ago. Visit also the Pyramids of Dahshur it has amazing 2 Pyramids (the Bent Pyramid) & (the Red Pyramid),These Pyramids older than the Pyramids of Giza built by king Senfru. 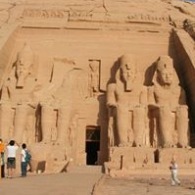 Visit the Egyptian Museum and Cairo Sights, Churches, Mosques. Visit also the Mosques of old Cairo and the old Bazars . Explore the top historical places of Egypt. Explore the ancient cities along the Nile. Explore the pyramids of Giza & More. Discover historical Cairo Mosques & Churches. Explore El-Manya city top attractions. Explore the Rock-tombs of Bani Hassan in Minya. Explore Dandra temple of Goddess Hathor. Discover the Valley of the Kings in Luxor. Discover the temples by the Riverside. Discover the beauty of Aswan city & historical sights. Explore the great temple of Abu Simble in private trip. Explore historical Cairo Mosques and Churches. Visit the Egyptian Museum and enjoy looking at Tutankhamun treasures. Visit the ancient temples of Luxor. Explore Edfu and Komodo temples. Private guide through all your trip in Egypt.